Add color to your everyday look with the help of this awesome metal ring. 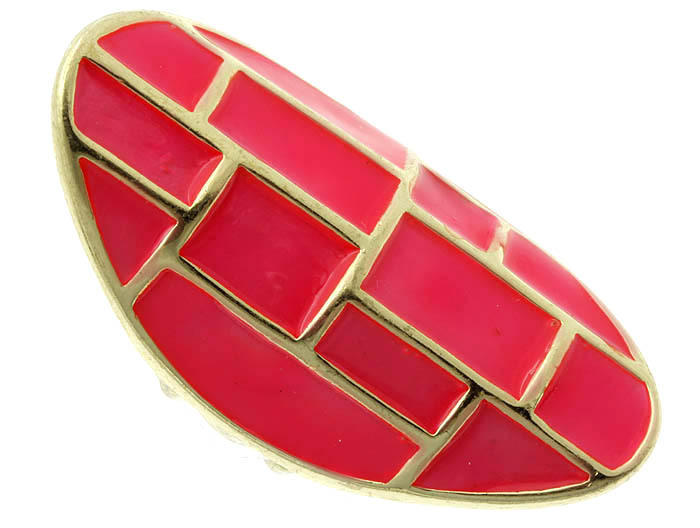 The ring features long oval front part of bright pink shade with gold tone geometric lines on the surface. Buy this gorgeous piece of costume jewellery online today and get fast delivery within days.